A wonderful 2-in-1 treatment for the face, to use as a moisturising mask or a brightening and exfoliating scrub. It has a creamy texture enriched with Apricot and Peach pulp, providing a true natural beauty cocktail for the skin. Apricot stone powder exfoliates delicately, removing dead skin cells and impurities, for a radiant and velvet-soft face! 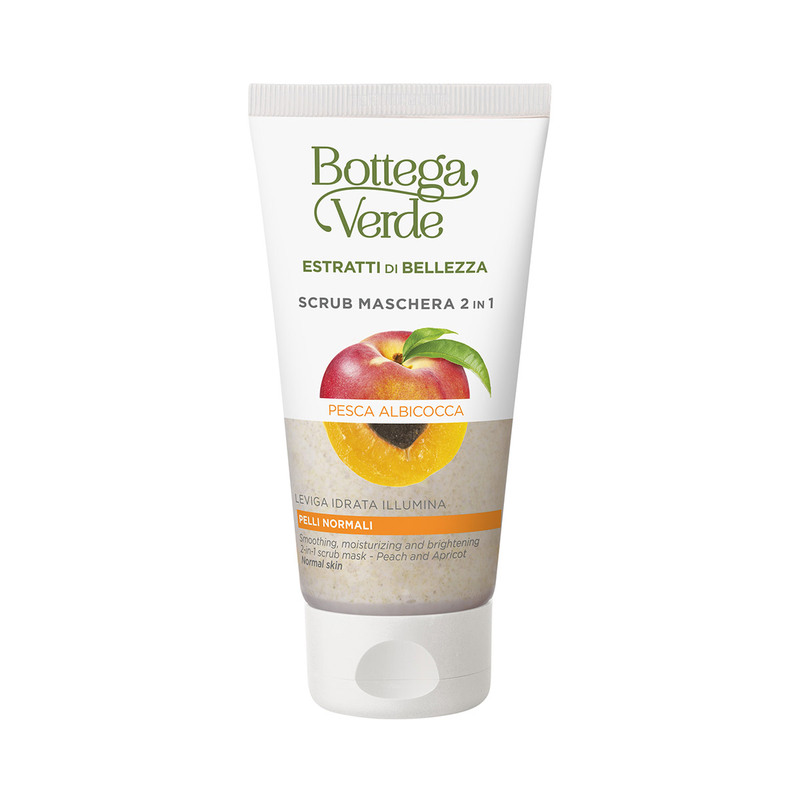 A creamy texture enriched with Apricot and Peach pulp that moisturizes and softens the skin. It contains exfoliating apricot stone powder, which removes dead skin cells and impurities. Not for use by children under the age of 10. Direction for use:To use as a scrub, rub into your face for one minute then rinse. To use as a moisturizing mask, apply to the face, leave in place for roughly five minutes, and then rinse. Use twice a week to keep your skin looking fabulous! Scent:FLORAL, BITTER, FRUITY, COSMETIC, MUSKY AND SWEET fragrance. Characteristic:A mask enriched with a scrub derived from apricot stones. With no parabens, formaldehyde releasers or mineral oils.